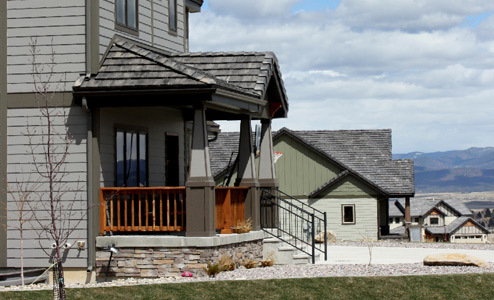 Aspen Park at Mountain View Meadows offers the discerning homebuyer the opportunity to live in an upscale neighborhood with stunning views of the Elkhorn and Big Belt Mountains and covenants and design standards that protect and enhance home values. 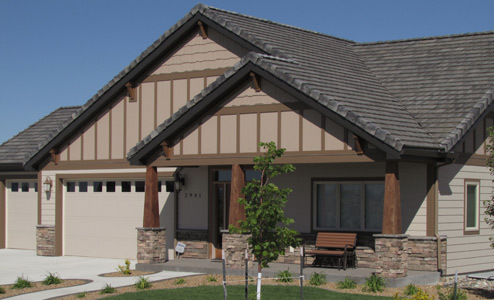 Aspen Park sets the bar high incorporating minimum square footage requirements, specific roof-styles, and a natural color palette to create an aesthetic, well-integrated neighborhood look and feel that surpasses any other in Helena. Large estate-size city lots ranging in size from approximately 10,000 to 17,000 square feet provides room to build a luxurious custom home with a beautiful landscaped yard and attractive street orientation. By design, homes in Aspen Park share several architectural and design qualities that contribute to a sense of community and increase home values including concrete tile roofs that carry a 75-year warranty, hardy plank or concrete siding, stone work, accented driveways and walkways, craftsman wood or timber features and semi-xeriscape landscaping that includes Aspen Trees along the rear property line. In addition, each home is required to have a minimum of 9’ ceiling heights on the main level and to be built on a finished or unfinished basement with a minimum of 9’ high walls – we prefer to refer to these spaces as “lower levels” – although homes with significant above ground square footage may be excluded from the lower level requirement. By knowing that all homes share these qualities, homeowners are assured that each new home built will meet a level of distinction consistent with the neighborhood. Several pre-approved home plans are available for your consideration but submittals of new plans are welcome. Please take the time to read the Aspen Park Design Review Manual available on our website. Many home plans can be modified by a qualified home builder or architect to meet design standards without sacrificing individual tastes. If you believe your plan meets the design standards, contact us at 406.449.0800 to arrange a preliminary meeting to discuss your plan and to select the perfect lot for your Aspen Park dream home.